Elecom has launched a new memory card reader which is designed to be used with your notebook or netbook, the Elecom MR-C25 memory card reader. It plugs into a USB port on your netbook or notebook, and it can be rotated 180 degrees, which is quite useful as you can move it so it doesn’t block the other USB ports on your notebook. 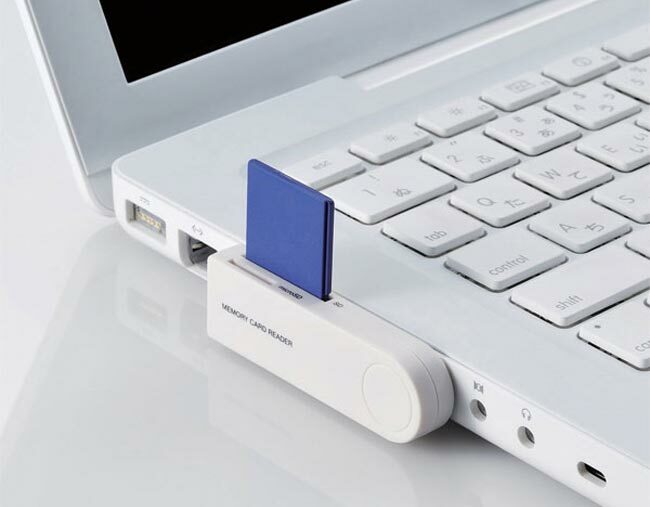 This could be a useful solution for notebooks or netbooks that don’t already come with a built in memory card reader. It is compatible with USB 2.0 and will let you read SD cards and microSD cards. There are no details as yet on when the Elecom MR-C25 memory card reader will be available and how much it will retail for.